The 2019 Bassmaster Classic will be contested on the Tennessee River out of Knoxville March 15-17. 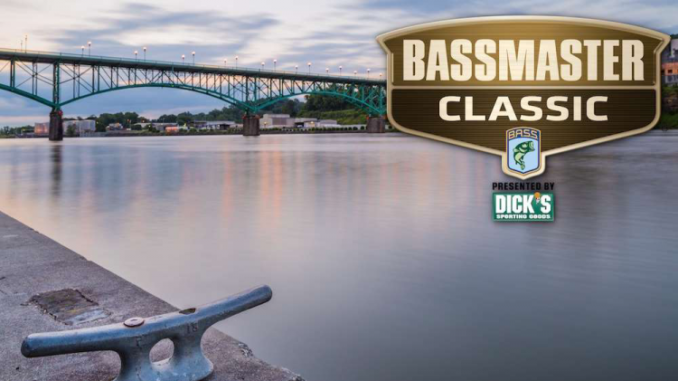 For the first time in its 49-year history, the 2019 Bassmaster Classic will be held on the Tennessee River out of Knoxville. The prestigious championship bass tournament — widely known as the “Super Bowl of Bass Fishing” — will be held March 15-17 in downtown Knoxville and on the University of Tennessee at Knoxville campus. “Knoxville meets and exceeds all the requirements we have for the Bassmaster Classic — great fishing on the Tennessee River, first-class facilities to accommodate crowds of fishing fans, a vibrant city with plenty to see and do, and a corps of state and local tourism professionals who will ensure its success,” B.A.S.S. CEO Bruce Akin said. The Classic pits 50 of the world’s best bass anglers against one another for shares of the $1 million purse, including $300,000 for the winner. Jordan Lee of Grant, Ala., a 26-year-old former college fishing champion, is the current defending Classic Champion after becoming the youngest ever — and one of only three in history — to win back-to-back titles. Lee is guaranteed the right to defend his title. Other anglers will spend the rest of this season trying to qualify from several B.A.S.S. circuits, including the Bassmaster Elite Series.